Selling is a profession. Sloppy presentations, the wrong asking price, and lack of marketing can all can end up costing you money. With their passion for selling and expert knowledge of the local market, our team will ensure the sale of your property is handled with the utmost care and professionalism. Want to sell your property? Choose ERA Van De Steege’s all-inclusive service and let one of our brokers handle everything on your behalf. With stunning presentations, professional photography, a tailored marketing plan, and the best style tips, we’ll make sure your property stands out to potential buyers. As the largest broker in Amsterdam, we’ve built a huge client base. Every day we register potential buyers looking for their dream home, whilst we continue to offer new properties. That includes your home! Our sizeable database will dramatically increase your sales opportunities. The selling process brings up many uncertainties, which we aim to handle on your behalf. Want to be more involved in the process? Just log in to your online account for an instant overview of how the sale of your property is progressing. You can also view documents, detailed maps, and communication with potential buyers or sellers. Our specialised intranet lets you follow every step of the sales process. Results are what counts. Our brokers don't just want to sell your home - they want to get you the best price possible. With a shorter than average sale period, ERA Van De Steege is one of the fastest-selling brokers around. Plus, we promise a minimal difference between asking price and final transaction price. 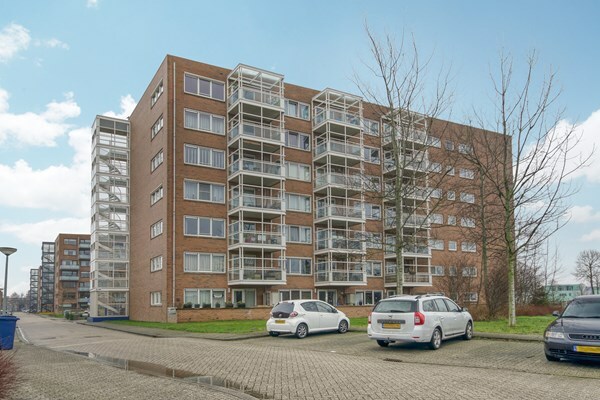 At ERA Van De Steege, we don't just put your property on the market - we actively sell it. We've sold 46 properties the last 30 days. Thinking of selling? We like to see and value your home and give you information about selling. Free and without obligations!